Will Packard's practice focuses on all aspects of commercial real estate. His breadth of experience representing developers, lenders and owners of commercial real estate allows him to craft pragmatic legal advice for clients in order to get deals closed. As chair of the firm's Real Estate Department, Will regularly represents developer clients in the development, acquisition, disposition and financing of commercial real estate, with particular emphasis on retail, industrial and golf course projects. His representation of developers has also included significant work involving bankruptcy laws related to real estate. Will represents lenders in connection with acquisition and construction loans on a variety of projects secured by real estate as well as workouts of such loans. He often acts as local counsel in connection with out-of-state lender loans secured by North Carolina and South Carolina projects. 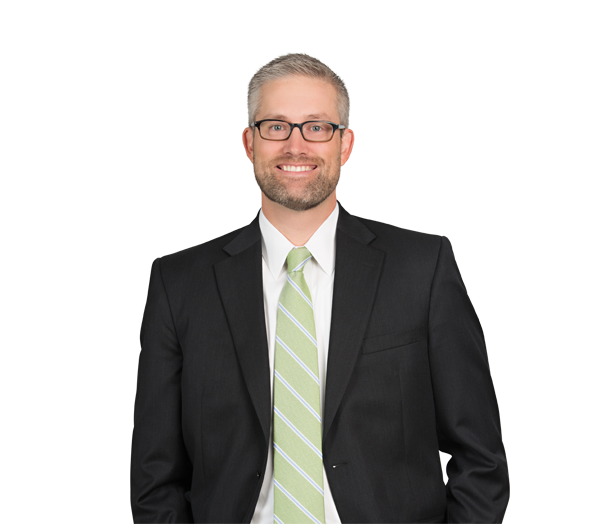 Will’s practice also includes representing commercial landlords and tenants in the preparation and negotiation of leases for office, retail and industrial facilities, including ground leases. His diverse background in leasing has given him a good understanding of what can be expected in negotiations in order to efficiently finalize leases for clients. Represents a developer in the development and sale of well over 100 build-to-suit retail stores and restaurants across the country, including the negotiation of development agreements and leases with multiple national retailers. Represents a developer in connection with large build-to-suit distribution centers in New Jersey and North Carolina for a Fortune 500 company. Represents developer in the development and sale of shopping centers and power centers in North Carolina and Virginia. Represented a logistics company in the sale-leaseback of an industrial building of approximately 175,000 square feet and a build-to-suit industrial lease of an approximately 370,000-square-foot building. Represented a medical services company in connection with the sale leaseback of more than 30 facilities in 18 states. Represents a regional bank in connection with acquisition and construction loans throughout North Carolina and South Carolina. Represented a developer in connection with the acquisition of a building in the historic district of Charleston, South Carolina. Represented a private golf course in its sale to a company that owns and operates multiple golf courses. Represented a developer in connection with the sale of multiple golf courses and associated residential developments in Florida and Georgia. Represented the owner in the sale of a 22-story building in uptown Charlotte, North Carolina. Represented a developer in the bulk sale of over 100 residential condominium units. Represented a developer as special corporate counsel in connection with its bankruptcy. Represented a nonprofit in connection with the drafting and negotiation of a joint venture agreement among multiple nonprofit and governmental agencies in connection with Hall House, a temporary shelter for homeless families located in a former high-rise residential building in uptown Charlotte, North Carolina.